Issue 28 | February 2018 | Love and time are the only things in life that cannot be bought but only spent. 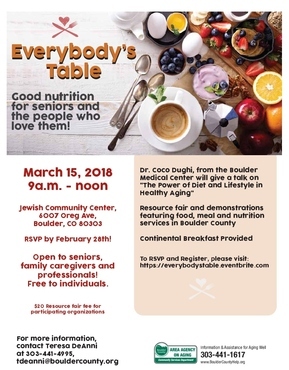 Come to our inaugural conference on senior nutrition and local nutrition resources! Dr. Coco Dughi's keynote on "The Power of Diet and Lifestyle for Healthy Aging" will be flanked by local vendors and demonstrations. Register today! Our annual Caregiving Symposium is a great opportunity for local businesses and organizations to interact with family caregivers. The day-long event features more than a dozen workshops, and one of the largest resource fairs in the county. Nearly 400 family caregivers and over 100 providers attended in 2017, and a similar turnout is expected this year. 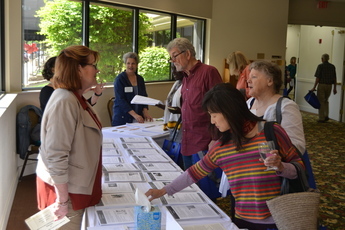 We invite you to become a Caregiving Symposium sponsor. Click here for sponsorship levels and benefits. Space is limited, so register today! We recently launched a new program with Boulder Community Health to offer more comprehensive care to Medicare joint replacement patients. “Next Step” involves our Community Resource Navigator working with patients and their non-medical needs as they transition back home. Our goal in the program is to improve health outcomes, reduce avoidable readmissions, improve patient experience, and improve medical staff experience. By addressing the non-medical needs in partnership with local healthcare providers, we further our mission and strengthen opportunities to encourage healthy and independent aging in our community. 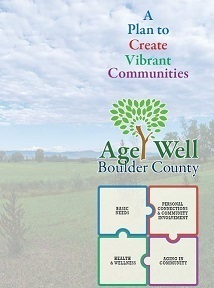 We’re launching an exciting year of public input for our countywide strategic plan – Age Well Boulder County. Visit our new and improved website for more information on the plan and for ways to get involved. We’re featuring weekly polls to gather feedback from interested stakeholders, so visit the webpage often! Want more information on the Age Well Plan? Contact Laura Mathews. The latest federal budget deal gives appropriators six more weeks to come to an agreement on an omnibus budget bill. Amidst this challenging budget year, the National Association of Area Agencies on Aging (n4a) secured a major win when the House passed a $14.2 million increase for Older Americans Act Funds. We need your help to make sure this increase is reflected in a final bill! 2. Maintained funding for SHIP (State Health Insurance Assistance Program) used to provide Medicare Counseling. One out of three adults has prediabetes and 90% don’t even know they have it. Having prediabetes means you have an increased risk of developing Type 2 diabetes, heart disease, and stroke. But with some simple lifestyle changes, you can cut this risk in half. The Diabetes Prevention Program can help you change some of your eating and activity habits to reduce your risk of diabetes. Where: Longmont United Hospital, 1950 Mtn View Ave.
Our Long-term Care Ombudsman program recently partnered with students in CU Boulder's Leadership program to survey residents in long-term care homes, seeking to understand residents' experiences and their awareness of the ombudsman program. 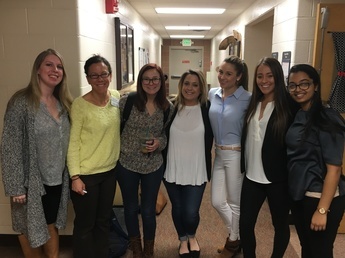 Students discovered that 91% of residents want more companionship and 77% are unaware of the resources available to them through the ombudsman program. Based on student recommendations, our staff has initiated new ways to increase elder rights education and social interaction for residents in long-term care. Want more information on our Ombudsman Program? Visit our website. Please join us in welcoming Jane Ireland - our new Financial Programs Assistant on the Business Results Team. Jane will be providing administrative support and monitoring for our financial assistance programs. Jane comes to us with a background in office management, nonprofit development, database administration, and information systems analytics. Prior to moving to Colorado earlier this year, she was Membership Director and Database Administrator for an art house cinema in Florida. Welcome Jane! In partnership with many stellar partner agencies, we increased the services we provided to older adults and their family caregivers in 2017. Check this out! Our helpline received 2,698 calls, a 27% increase from 2016. 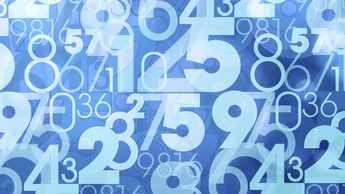 Our online resource directory had 134,000 views and 77,000 visits, increases of 42% and 54% from the year prior. We funded over 17,000 rides, 14,000 meals, and 9,000 hours of in-home supportive services. 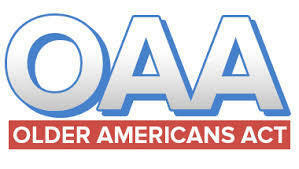 90% of our clients attribute our services to helping them maintain or improve their independence in the community. For more information on the services we provide, check out our latest Annual Report. 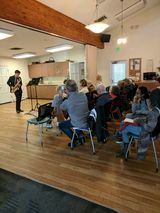 Last month, community members attended our first Dementia Friendly performance, produced in partnership with the national honors music program at Peak to Peak Charter School and hosted by the Lafayette Senior Center. Students geared the musical selection towards old classics, as in this picture of one musician playing Sinatra’s “My Way”. Attendees enjoyed the concert, many tapping their toes and even singing along to the music. 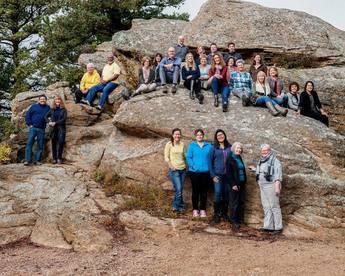 We’re leading the charge on making Boulder County a Dementia Friendly Community. Contact us for information on how you can get involved! Stay up to date on advocacy alerts, class information, staff updates, and area happenings. Like our page today!